On the shores of Lake Como, in the shadows of the Alps, Aston Villa and Chelsea met in a match that would crown one of the two the best youth team in Europe. After 90 minutes of high-quality football, it was Aston Villa that came out victorious to become the champions of the second edition of the NextGen Series. The brainchild of Mark Warburton, the NextGen Series is a competition for under-19s teams from around the continent to provide the opportunity for the young players to match themselves against other elite European footballers in a competitive environment. The first edition in 2011/12 saw sixteen teams compete in a group stage and knockout phase. The final matched Inter Milan, who had beaten Sporting Lisbon and Marseille to reach the last stage, against Ajax, fresh off a 3-0 victory over Barcelona and a 6-0 demolition of Liverpool. In the end, Inter won the match on penalties. Of the twenty-two players that started in last year’s final, no fewer than fourteen have gone on to make their full debuts for either Inter Milan or Ajax – a sign that the teams that these sides are sending out in the NextGen Series are packed full of future stars. 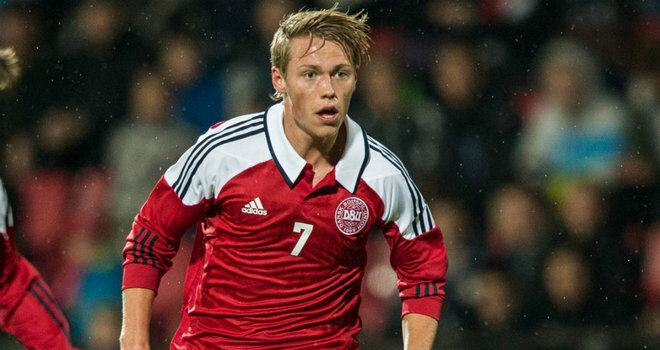 Indeed, Ajax’s Viktor Fischer, the star of last year’s tournament, has gone on to make his international debut for Denmark and is seen as one of the brightest talents in European football. It is a promising sign for English football that three of the four semi-finalists were Chelsea, Arsenal and Aston Villa. Whilst having an advantage in terms of numbers – six of the twenty-four teams were English this season – they have still had to come past some talented teams to reach that stage. Chelsea eliminated Barcelona and Juventus to reach the semis, Arsenal beat Inter Milan and CSKA Moscow, while Aston Villa beat Ajax and Olympiacos. It was also refreshing to see so many British players on the pitch for the final. Long maligned for simply buying the best youth players for their academy, Chelsea fielded five English players and two Scottish players in their starting eleven, while Aston Villa had six English players and five Irishmen. In other words, 18 of the 22 players were from the British Isles, while two of the other Chelsea players would also be eligible to play for England. However, one issue that a number of the tournament’s critics level at it is that it has no form of qualification. Rather the tournament is simply an invitation-only competition that means that there is no guarantee that the best youth teams in Europe are actually involved. While this may be a valid point, it is difficult to point out many teams that should be involved that are not. Manchester United and Real Madrid are two big names that are missing, but they were invited and rejected the opportunity to take part. Among other obvious missing names are the likes of Bayern Munich, Lyon, Feyernoord, AC Milan and Porto. Given the recent output of talent, there maybe is also an argument for more German representation beyond just Dortmund and Wolfsburg. Nevertheless, there are few teams not involved that could make a realistic claim to be better than the teams currently involved. Despite its success, the competition faces an uncertain future. 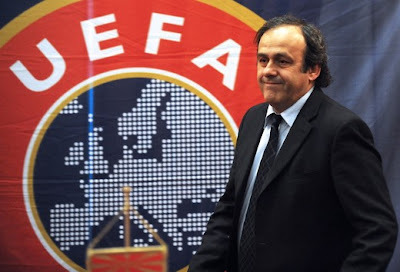 In December, Michel Platini and UEFA announced that it would be launching its own version of an U19 Champions League. Sounds reasonable so far, but it has one major flaw – it will simply involve the same teams as the senior Champions League. To me, that seems a fairly poor way of running the competition. The quality of a club’s senior team often has little correlation with the quality of its youth academy graduates. Looking at next season’s UEFA version of the U19 Champions League, it will be missing Aston Villa, the current NextGen Series champions, and Sporting Lisbon, who finished in third place in this season’s competition. It will also potentially be missing either Arsenal or Tottenham, who reached the semi-final and quarter-finals respectively. It could be missing either or both of Ajax and PSV, both of whom reached the knockout stages this season. Indeed, there is a possibility that no fewer than six of the last sixteen of this season’s NextGen Series would be excluded, purely based on the quality of their senior team. No reflection on the performance of their youth academy teams. The objection is not at all to UEFA getting involved. After all, the hope of the NextGen Series was to grow, find a primary sponsor and television deal and get the proper footballing authorities involved. The association with UEFA would certainly give a tournament the prestige and backing that it needs. Rather it comes down to the matter of selection. One has to question the involvement of the likes of Anzhi in a youth tournament. They have built their team on the back of offering huge wages and transfer fees to established players. Their youth team is 11th in the current Russian U21 league. Instead, it would seem that the solution would be to find a similar form of qualification as that for the senior version. Rather than simply mirroring the teams that are involved in the two tournaments, why not use the respective youth leagues around Europe to establish a qualification criteria. The top teams in the English Premier Academy League, the Italian Campionato Nazionale Primavera, the French U19 Championnat National and the other various academy competitions around Europe could qualify for the new UEFA U19 Champions League1. However, the chances of this happening are remote. Arsenal have committed themselves to the NextGen Series for next season, but have admitted that they will struggle to compete in both that and the UEFA version if they qualify. 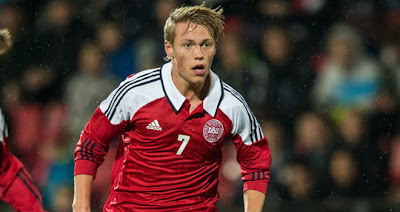 UEFA are likely to use their power to force clubs to prioritise their version, meaning the NextGen Series will suffer. It will simply result in the bigger clubs establishing themselves as the leading clubs for academy players that want to play in the biggest youth matches. The best youth players will gravitate to these clubs at the expense of the likes of Aston Villa and Sporting Lisbon. With the best youth players, the best players will graduate into the top teams, without the transfer fees being paid to the smaller clubs – money that is the lifeblood of many clubs. As with so many of the changes, it will only help to entrench the existing top clubs in their position at the expense of the smaller teams. The idea of providing a platform for young players to challenge themselves at a continental level is an excellent one. The current format of the NextGen Series has worked well over the first two editions. However, the introduction of UEFA into the mix with their grand, but damaging, plan threatens to ruin all the good work that Mark Warburton and NextGen has achieved thus far.